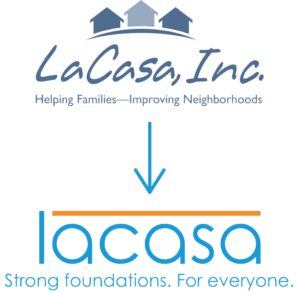 Throughout Lacasa’s 48 years of impact, we’ve expanded our services and our reach. Our branding materials no longer matched our full audience or scope of services. We are in process with a major rebranding effort to expand the visibility of our services while maintaining the Lacasa name that the community knows well. Our rebranding tackles three primary challenges: maintaining the brand that people know well, reaching our full audience, and showcasing our scope of services. 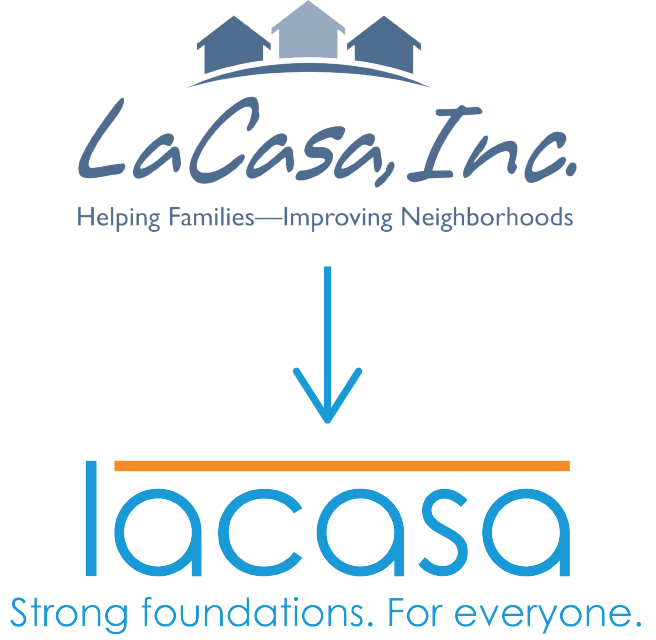 The Lacasa name is important in the community and is a name that families find comfort in. We do not want to change that. We want to reach everyone who would benefit from the programs Lacasa provides. As our tagline states “Strong Foundations. For Everyone.” we want to make sure the community understands ourcommitment to all who need our assistance. We are excited for this new era at Lacasa and to continue being an organization for everyone in the Elkhart County community.